Check out these popular Coton travel solutions to keep your vacation dreams from turning into a nightmare. Discover the must-have items to take with you to guarantee happy, safe, and relaxing travels. 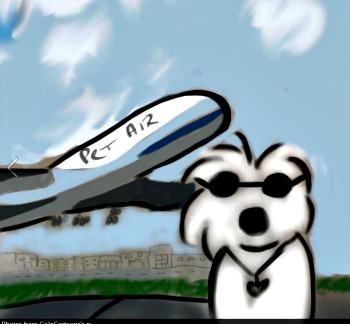 One you’ve made the decision to take your Coton de Tulear with you on your trip, you have to plan in advance to ensure a safe and happy journey. Whether you’re traveling by car, plane, or ship, there are common problems that are relatively easy to navigate. The trick is not to deal with these issues at the last minute. Of course, these tips are applicable for any small dog breed, not just the Coton de Tulear. 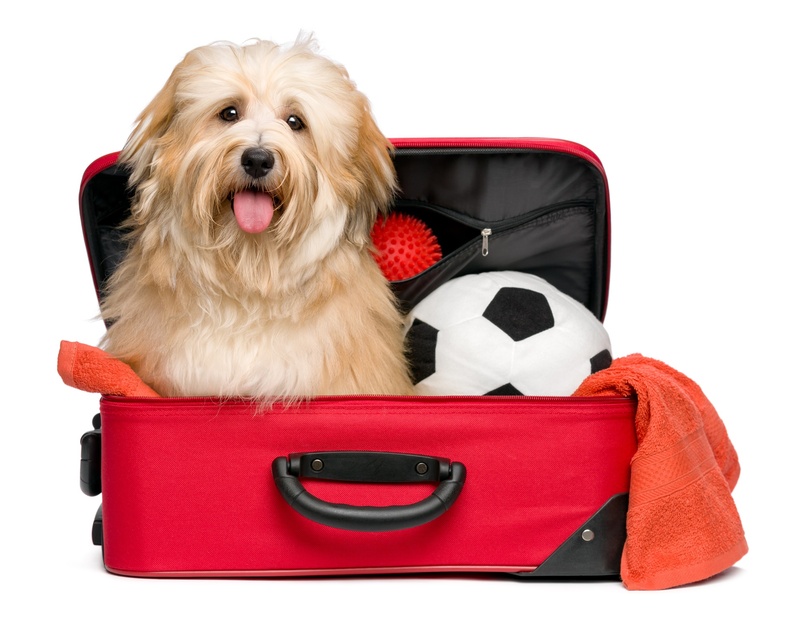 Problem: The biggest problem people often face when taking their pets on vacation with them is not being prepared. Nothing can ruin a holiday faster than not having the correct documentation or forgetting your dog's medication, grooming supplies, bedding, or emergency supplies. Whether you're going on the road or traveling by air or sea, here are some essential Coton travel solutions to make the journey safer and happier. 1. 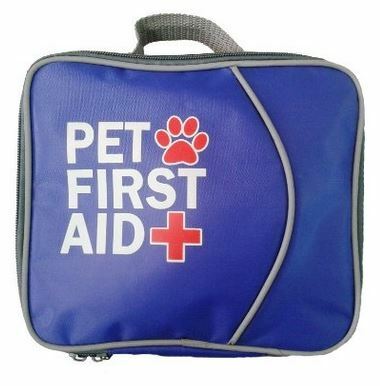 First Aid Kit - If you don't already have one, this one is perfect for travel. It's small and has all the essentials for your peace of mind. 2. Sunscreen - If you're going to be doing a lot of outdoor activities, don't forget that your Coton is sensitive to the sun. 3. Poop bags - Don't leave home without them. These are biodegradable and come with a dispenser that attaches to your leash. Easy. 4. Hands Free Carrier - This is a must if want to take your dog everywhere with you on your travels - whether you're just running to the store or you're hiking on vacation. It's safe and comfortable for you and your dog. 5. Collapsible, portable water and food bowls - These are safe, sturdy, and don't take up much room when traveling. 6. Sleepypod mobile bed - This one has been highly recommended because it's multipurpose. You can use it as a car seat, carrier, and a bed. It will also fit under the seat for most airline regulations. Wow, that's an awful lot for one item to do. Plus it's safe and comfy. 7. Favorite Toys - If there are times when you will be leaving your dog in a hotel room or someone’s home, make sure your dog is safe, comfortable, and happy so he doesn’t destroy the place while you’re gone. His favorite toys will provide comfort and entertainment while you're gone. 8. 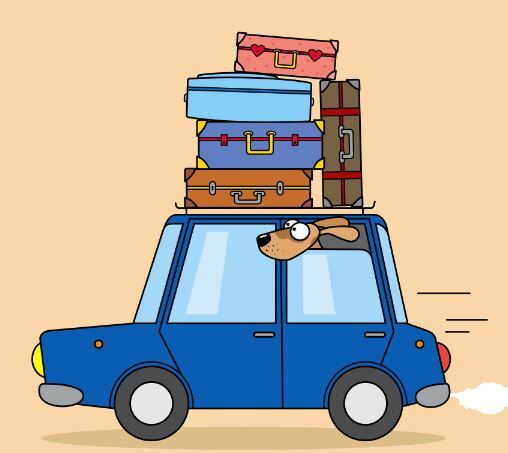 Anxiety and motion sickness prevention - Not all dogs are great travelers. What's worse than a sick or anxious dog when you're trying to get away from all your cares? For severe symptoms, work with your vet to come up with a plan well in advance of your trip. For minor symptoms, you can get over the counter motion sickness remedies such as Complete Calm or Travel-Eze which are safe and natural. Problem: It can be stressful and downright dangerous to drive without proper preparation and precautions. What about when you arrive at your destination? Do you have everything your dog needs? These Coton travel solutions are great for road trips to ensure you're travels are safe and stress-free. 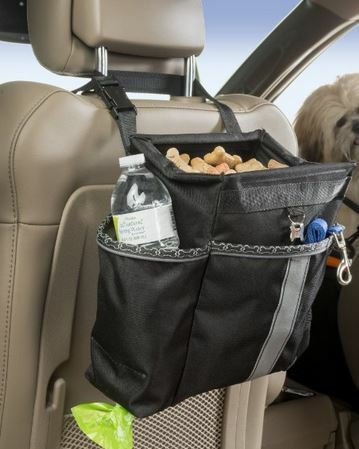 Dog Car Organizer - Being organized allows you to relax and enjoy the journey. This organizer holds all the essentials and then some. After you arrive at your destination, just grab it and take it with you. Great for water bottles, bowls, leashes, treats, poop bags, and toys. Backseat Hammock - Keeps your dog comfortably and safely in the back seat. There are many styles, sizes, and designs that will easily protect your car and your dog. Car Seat - Our visitors love the multipurpose car seats like the Sleepypod or the Pettom Booster which can be used as car seats, carriers, and also meet airline guidelines. Doggles - What dog doesn't love the windows down and the wind in their hair? You can let them have their fun and keep them safe from flying debris. And they will look so cool! Safety Belts - And if they're going to stick their head out the window, make sure they're tethered to the seat. It will also keep you from being distracted while you're driving and keep them safe from "jiggling around". Problem: So many different airlines with so many different policies and rules. What about Coton travel solutions for air travel? Our visitors have identified there 3 favorite carriers that are approved by most airlines, but ALWAYS check in advance. 1. 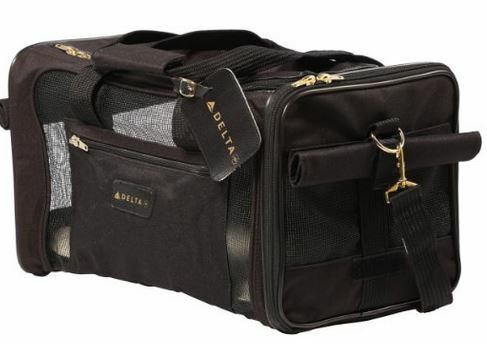 Sherpa Pet Carrier - For dogs up to 16 pounds. This is a favorite because they guarantee it will meet airline guidelines or they will reimburse you with their Guaranteed on Board Program. 2. Sturdibag Pet Carrier - For dogs up to 40 pounds. 3. Sleepypod Carrier - As mentioned above, this is a multipurpose carrier that works with most airlines. In addition to the versatility, this carrier has been awarded safety awards.